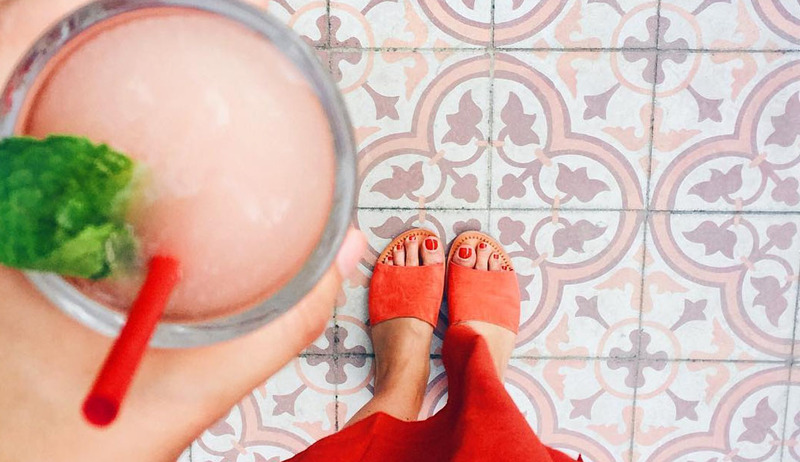 Summer is here and it’s time to grab a large bag of ice on the way home tonight and get into the latest craze to sweep the beverage world – frozen rosé cocktails aka frosé. Now dinner with @jessicafrej ?I made the pre-drinks Frosé, frozen rosè wine with strawberry syrup and lemon juice. Blend it all up and get ready to have the greatest wine cocktail hybrid experience of your life. If you consider yourself to be a bit of a Nigella-type figure in the kitchen and you want a creamier texture, you can freeze your mixture before putting it in the blender. I don’t even care if I have to wear a scarf and gloves while drinking this. Frosé is lifeeeeee.